Yellow submarine with removeable diver. Beautifully made with sustainable materials and principles. 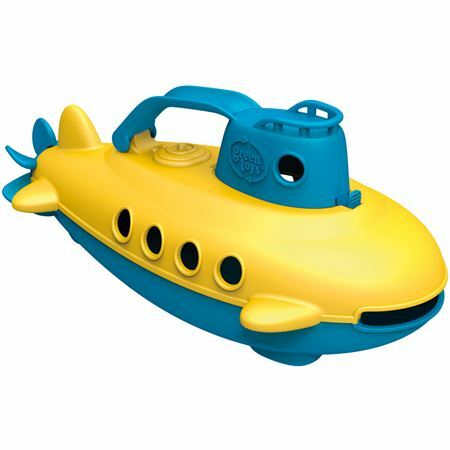 The Plan Toys submarine is a joy for little ones to play with. 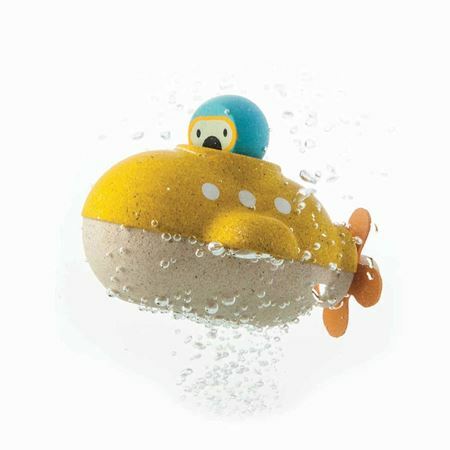 Beautifully designed submarine, made for adventures in and out of the bath with a cute removeable diver and soft rubber propeller. “We all live in a …….”. Parents will love this quality toy and Plan Toys play values using sustainable materials, sustainable manufacturing and packaging too! 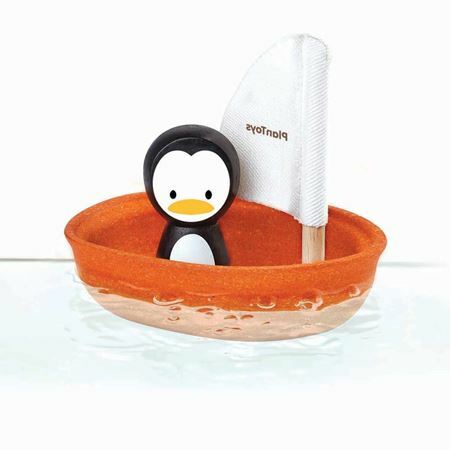 Sustainably made, beautifully designed sailing boat with fabric sail and cute penguin for fun in and out of the bath! 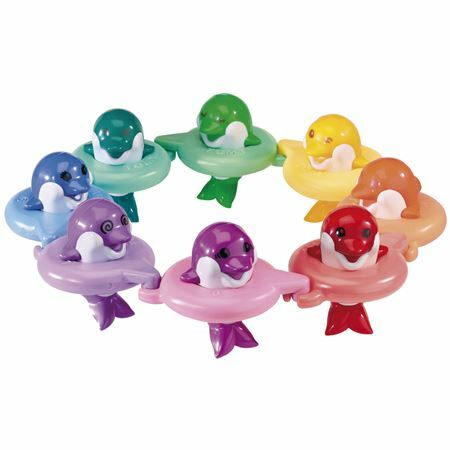 Delightful musical dolphins make bath time even more fun!